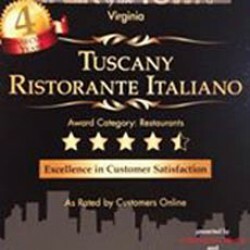 Printable $50.00 Tuscany Ristorante voucher for $25.00.Good only at Tuscany Ristorante Italiano loca.. Printable $21.00 Comedy Club of Williamsburg voucher for $10.50. Comedy Club of Williamsburg is loca..
$50.00 Printable Voucher to Salon Vivace for only $25.00. Valid at the following locations-Virginia ..